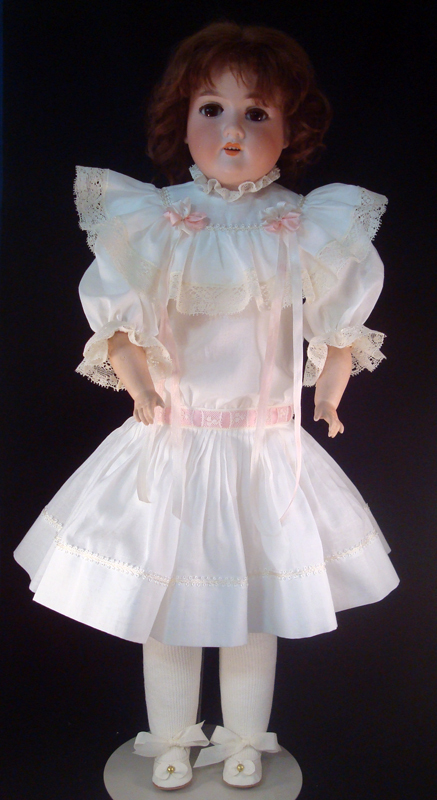 Antique Style Doll Clothes fit the antique bisque head dolls that have either a ball joint body, or a leather body. These are authentic costumes made in appropriate styles and materials for each time period, adding charm and value to your doll. Only natural fibers or rayon are used on these outfits: made in either 100% cottons, cotton organdy or voile, silk or other vintage fibers. 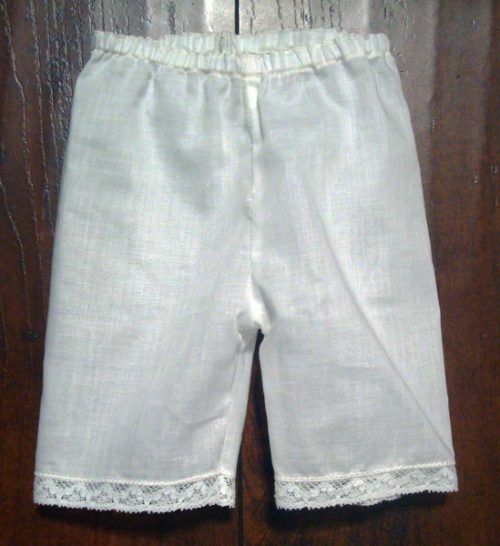 Laces are all vintage 100% cotton and other trims are 100% silk ribbon or rayon trims. Please be aware that there are no refunds or exchanges on dolls clothes.